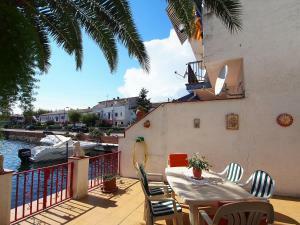 Three-Bedroom Holiday Home Empuriabrava Girona 1 is located in Empuriabrava. The accommodation will provide you with a terrace. Three bedrooms holiday home, with comfortable furnishings. Equipped with fireplace, kitchen and garden.